I am the proud owner of Bermagui Real Estate and Clearwater Real Estate Narooma & Moruya. Born and bred in Bermagui with historic roots dating back approx 150 years to the first settlers of this area. Dedicated, honest reliable, giving the best personalised service with the backing of an enthusiastic team of professional sales people. If i am not in the office, i am out inspecting properties or trying out a new fishing spot after hours. Along with my Team at Clearwater Real Estate in Narooma & Moruya, we are here to help you. If you are thinking of selling, buying, renting or want some advice on real estate matters, give me a call to set up a time so we can sit and chat. Property Management - yes, we can manage your rental property at a fair price. We use the latest software Inspection Manager and email you the reports so you are always up to date with inspections. 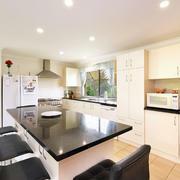 We list/sell/rent and manage properties in Bermagui - Narooma - Moruya and surrounding areas. "Wakumi" - This immaculate single level home has space, privacy, country charm and some huge sheds for the tradesperson or those with lots of toys. The mostly level 7.33 acres gives you space for your children or pets to run around. The Home: Open plan lounge/dining, kitchen with fireplace, rumpus room, four bedrooms (master with ensuite), central bathroom and laundry. There are lovely cooling breezes through the summer months due to the closeness to the ocean (as the crow flies). 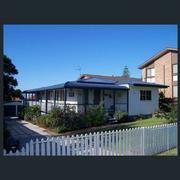 2226m2 Development Site, Close To River, School, Beaches & Convenience Shops. Ocean Views, Three Bedrooms, New Kitchen, Large Rear Deck, Front covered patio with magnificent Ocean Views, Lock up garage, off street parking (3 cars) and only 100 mts to Beares beach. 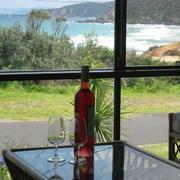 "Mary-Ett" - Commanding views of Bermagui River, Gulaga Mountain and the ocean from the cottage on the hill. This home has been well loved over its many years but it is now time to pass it onto a new owner. The Block: 870 m2 approximately. This home is part of a recent subdivision that is close to completion. A delayed settlement will allow time for the subdivision registration to take place. Leased: Currently rented and notice must be given prior to any inspections. Vacant Land - Zoned R3 - Medium Density Residential Land - Amazing Views with Huge Potential. "Lavanny" - Situated next to a council reserve is this well presented three bedroom brick and tile home in Bermagui Heights Estate. Features: Spacious open plan living, dining and kitchen with granite benches and induction cooktop. There is a space for a reading/lounging area or home office which is a perfect sunny winter spot to sit and relax. Bermagui Heights has direct access onto the 18 hole Golf Course and is only a few minutes drive to town, beaches or shopping centre. 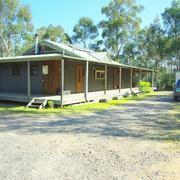 Bates General Store and Bed & Breakfast is situated in the historic village of Central Tilba and is an iconic landmark. 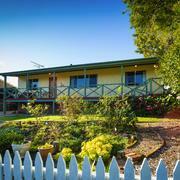 Central Tilba is also known for the TV show "River Cottage Australia" as it is filmed on a farm just up the road. If you have dreamed of moving to the beautiful south coast, here is your chance to live and work in paradise. Sale includes furniture in the Bed & Breakfast (excluding personal items) and training. Stock is at valuation. On the northern side of Central Tilba is this rare and beautiful two hectare block of land with access off a sealed road. The block has a building envelope to ensure that your dream home is correctly situated to take advantage of the stunning countryside. Currently there is fencing on three sides and the owner will build a fence on the fourth side (at their cost) when the property is sold. Don't delay, properties like this are rarely offered and usually snapped up quite quickly. "Kallista" - Central Location close to sports fields, pool and shops is this family home in as new condition. 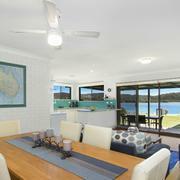 Cobargo is approximately 20 minutes from Bermagui with its pristine beaches, cafes and restaurants. Bega is also approximately twenty minutes drive and Canberra is around 2.5 hours. "Eagles Nest" - 17 Acres - Perched on the high side of the road is this mostly natural bush block with a temporary "Humpy - Timber Slab" structure and as an added bonus, electricity is on the block. Extensive views - East, ocean views as you are looking towards the coast. West - over some of the most beautiful farmland to the distant blue hills. North - this view is from the front gate and looks directly at Guluga mountain. "Leonani" - Set on approximately 23 acres, with a shared boundary to the Four Winds Festival Venue, is this solid north facing brick and tile home. Privacy, tranquillity and living in harmony with nature is all a part of this amazing slice of paradise. Water: The tanks hold approximately 90,000 litres with extra water coming from the dam in the gully. To save water, the toilet is flushed with dam water, but can easily be changed over to tank water if necessary. 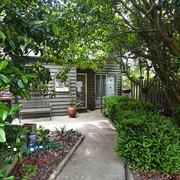 "Bonnie" - Conveniently located in Bodalla and only a short drive to the beaches at Tuross Head or Potato Point. This home has a lovely rural outlook and a lot of features that will make it sell quickly. Features: Three bedrooms, two bathrooms, two car garage, large block (1138 m2), combined dining/lounge with fireplace, modern kitchen, laundry and front verandah. This home is priced to sell so be quick with your offers. "Emerald Waters - Unit 2" - Located within an easy walk to the main street of Narooma, Golf Club, restaurants, cafes, banks and other quality shops. You could leave your car parked in garage and enjoy the walk to most amenities. Features: This unit is light and bright with open plan lounge, dining & kitchen, two good sized bedrooms, central bathroom, easy access to the front and side balcony with ocean and coast line views. There is also a lock up garage on the lower level. Currently tenanted. "Talawa" - Situated within an easy walk to Beare's Beach, Bermagui shopping centre and the popular Golf Course, is this single level three bedroom home. A separate garage with work space is positioned towards the rear of the block. The back yard is fenced, has easy care gardens and the land is near level. Overall the home is in very good condition and is light bright and airy. "Leanne"- Perfectly positioned close to Corunna Lake and Mystery Bay beaches to take advantage of the relaxed lifestyle that coastal living is all about. Shedding: A huge farm shed (approx 60 x 40 foot) with power, water and amazing views over the neighbouring farmland to Montague Island. There is also a separate double garage with a concrete slab and power. Water: 50,000 water tank storage plus the use of dam water for the gardens. 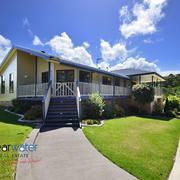 "Nohealani" - Capturing gorgeous panoramic views across green pastures to Gulaga Mountain, this solid family home boasts functionality, privacy and comfort. Beautiful properties like this are so highly desirable they rarely come onto the market and an inspection will leave you with no doubt as to why. You simply won't want to leave. Conveniently situated within an easy drive to schools, shops, sporting fields, beaches and the historic township of Central Tilba. "Alanna" - Situated in an elevated position to take in the beautiful ocean views and cool summer breeze, is this comfortable home positioned in a quiet cul-de-sac. A convenient setting at an affordable price! 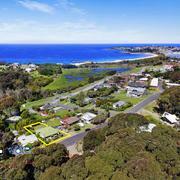 The best thing about this property is its closeness to the beaches, wetlands, restaurants, shops and Bermagui Public School. 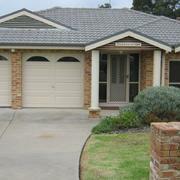 Call Gary Cotterill on 0434 10 8888 to arrange a viewing. "Rosabella" - This north facing, elevated home is one for all the family and certainly a home where you can entertain to your hearts content with a large patio with extensive lake views. Not only is there a spacious 3 bedroom home upstairs with features in abundance.... downstairs the extended family is accommodated with ease in the studio which features a bathroom, rumpus room, kitchenette, it's own access, and the possibility of fantastic income potential or an ideal base for a home business. "Bryleigh" - A large block running between the Princes Highway and Payne Streets with a thee bedroom plus sun room/study home and subdivision potential (stca). Could also build shop, office, units with ground floor entry (Subject to Eurobodalla Shire Council approval). Located close to the Plaza complex, Wagonga Inlet, Marina, and only a short drive to the main street banking, shops, cafes, scenic headland and beaches. "Kookanulla" - Situated in a forested area, but close to the main road, is this recently built 5 Bedroom, 2 Bathroom home on 13 Acres (5.25 ha). Yowrie is known for it natural bushlands, scenic mountain vistas, rural farmland and the fresh clean water of the Yowrie River. Centrally located and backing onto the Bermagui Gold Course is this good sized three bedroom, two bathroom home. Features include a large country style kitchen with dining area, lounge, two covered patios, garden shed, and single garage. Long lease preferred. Apply with Correctly filled in Tenancy Application (Look under rentals on bermaguirealestate.com.au website), Current references and tenant ledger. Sorry, NO PETS. 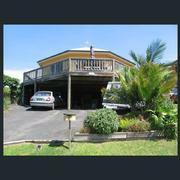 Two Bedrooms, Open Plan lounge dining kitchen area, front patio with magnificent ocean and wetlands views. Available NOW. Sunny North Facing Ground Floor unit. Features include two good sized bedrooms, central bathroom, sun room (or office) & kitchen. 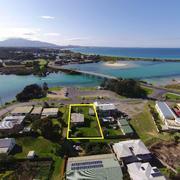 Short walk to Bermagui River, shops & golf course. Definitely NO pets Apply with current references & rental ledger. Gary provided us with excellent service. 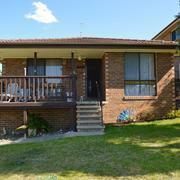 He has a good understanding of the local Bermagui property market which assisted us with our purchase. We would recommend Gary to anyone needing property advice. What a pleasant experience. Recently had to sell family home on behalf of aging parent. Gary showed compassion, made all aspects easy with his knowledge and friendly manner. Kept me informed of every step, answered any queries, nothing was a bother. He made it a pleasant experience. Gary's Note: I know how difficult it can be to sell your family home, I have also had to do it for my parents. Gary was very helpful. He brought a lot of local knowledge and he had a number of interested clients ready to go as soon as we decided to list. Great outcome. 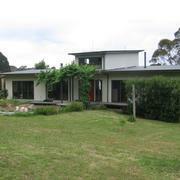 It was an absolute delight buying our recent purchase in Bermagui from Gary. He was always ready to answer any questions and nothing was too much trouble- the purchase proceeded so smoothly due to Gary and the wonderful co operation from the vendor- thank you so much Gary. Highly recommend Gary. He handled the sale of our home in Bermagui, he did far more than any other agent we've had dealings with in the past. We had a quick sale and Gary gave us the support we needed when packing up getting ready for the move. Thank you very much Gary. Gary was fantastic in all areas of the requirements for selling our property, he was always available to discuss any questions that we had. 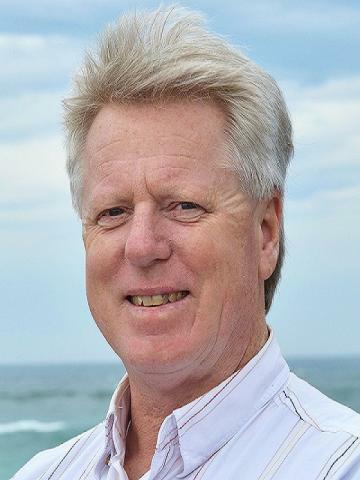 Gary, having lived most of his life in Bermagui, has very good knowledge of the local real estate market. His honesty and straight forward approach ( no BS ) was very much appreciated. Gary was the agent for my purchase of a house in Wallaga Lake in mid 2016 and provided excellent service throughout the process including meeting me at the property after settlement to hand over the keys and even helped with unloading from the removalist truck! The original price was set too high in a deteriorating market hence the sale took quite some time. The property of somewhat unique but Gary showed determination and with some price adjustment achieved the sale. We clearly rated Gary as being a cut above the others in the local area and have no hesitation recommending Gary to others. Gary was very helpful all through the purchase process. He organised a property viewing straight away, when we discovered the listing. Once we secured our finance he helped make the purchase happen in a timely manner. As we were organising renovations straight after the purchase, Gary made a couple more visits to the site with us for home inspections so we could start as soon as the property changed hands. Gary also sold a property for us once we moved into the new home. He was always helpful, friendly and professional and we are still in contact with him as he has now become our friend. 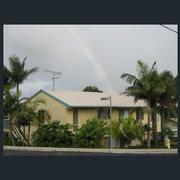 Gary gives excellent service, very helpful and cares for the tenants (as our house was rented ). Great knowledge of the area including the fishing spots & takes buyer needs into consideration. We are very satisfied overall. Highly recommended. We have used Gary to both buy and sell our property and have found no other like him. Honest, reliable, truthful and hard working. We would recommend him to anyone. NOTE: Paul was a lovely man but unfortunately he recently passed away. I am glad that he got to spend some time in his new home. RIP Paul. 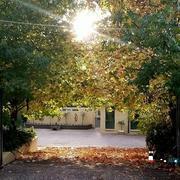 We had a wonderful week relaxing in Bermi, the weather was beautiful and the accommodation at 29 Scenic Drive was superb. 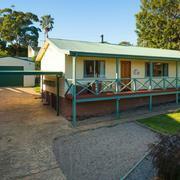 The house is just fantastic with plenty of room, amazing views and in walking distance to town. Lynda and Ian wrote: "Having just completed the purchase of our property and settled in Bermagui we would like to thank you for all your assistance. The straight forward honest approach and expert local knowledge we were offered when dealing with your office was nothing less than refreshing. At all times giving us the space to discuss the various properties after pointing out the values of each of them. The assistance with a variety of local Conveyancing Solicitors and after purchase local tradesmen. A special thanks for the ongoing contact which has made our transition to our new home town all the more pleasurable a credit to Bermagui Real estate and yourself. You've done a great job thanks again." Jim & Marloeke wrote: "Bermagui Real Estate's proprietors, Gary Cotterill and Paul O'Leary pride themselves on old fashioned values of honesty and reliability, something which we can certainly attest to in our business dealings with them over the past few years. Distance negotiations are inherently difficult, but Gary & Paul's local knowledge and willing assistance proved invaluable in bringing our purchase to a satisfactory conclusion"
The Stewart's wrote: "So professional, hardworking and got a fair price. Can't ask for more than that. That is an honest appraisal of our sale process.Thanks Guys." Iain Thompson wrote: "I found Gary Cotterill and the team at Bermagui Real Estate a delight to deal with in both buying & selling a property in Cobargo and as managing agents of the property in the interim. Gary obviously loves the area and is very knowledgeable about it and manages to look after the interests of both buyers and sellers. In dealing with Gary over the years I have come to regard Gary more as a friend who looks after my interests, rather than as merely an agent." Jeannie wrote: "I have a few rental properties in Bermagui and the surrounding area, the team at Bermagui Real estate take care of the properties, always finding suitable tenants and making the process of having investment properties fuss free. I am always kept up to date with what's happening with the properties whether it is maintenance that needs doing or tenants deciding to move out. Inspections are done at relevant times and they are on the ball if things need attention. 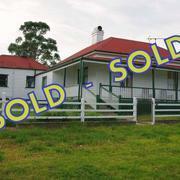 One of the properties is also up for sale so it was a no brainer to use Gary and the team to take care of the sale. I live 600 kilometres away so it is reassuring to know that my places are taken care of as I can't just drop everything and attend to matters. Gary and the team at Bermagui Real Estate have always gone over and above the role of real estate agent, I feel my properties are in the best of hands. A big thank you to you all." 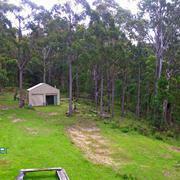 Sandy (Bermagui) wrote: "I purchased my home in Bermagui through Paul and Gary at Bermagui Real Estate in 2009. On my first visit, I told them what I was looking for and they showed me what they had that was suitable, and in my price range. There was no pressure what so ever and eight weeks later I moved into my new home. A year later I had to move to Port Macquarie for 6 months. Paul and Gary found suitable tenants for my home immediately and looked after everything beautifully whilst I was away. I returned to Bermagui before my tenants lease was up and rented a property through Paul and Gary until I was able to move back into my home. I now have my home on the market in order to purchase something totally different. 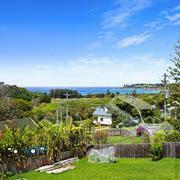 Of course I am selling through Bermagui Real Estate. Paul and Gary told me when I first purchased my home that I could call on them for any help. I certainly have - numerous times, and they have always steered me in the right direction for whatever I needed."